Wow! That's how I have have to start this blog post...just by saying "wow". I got my first canvas sample and its beautiful! 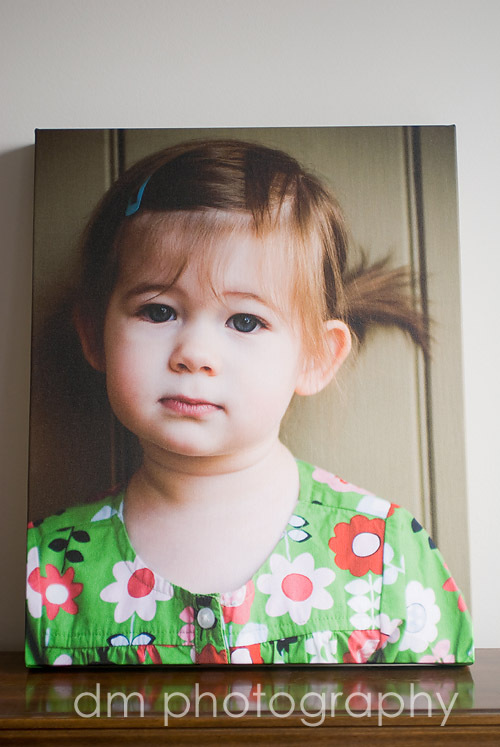 I had my new favorite photo of Grace printed as a 16x20. This comes ready to hang...put a nail in the wall and your done. It comes in pretty much any size. These would look gorgeous above a fireplace, piano or sofa. A collection of two or three smaller ones would look great in a hallway or above a bed. It truly is a piece of art. I can't wait to get more. 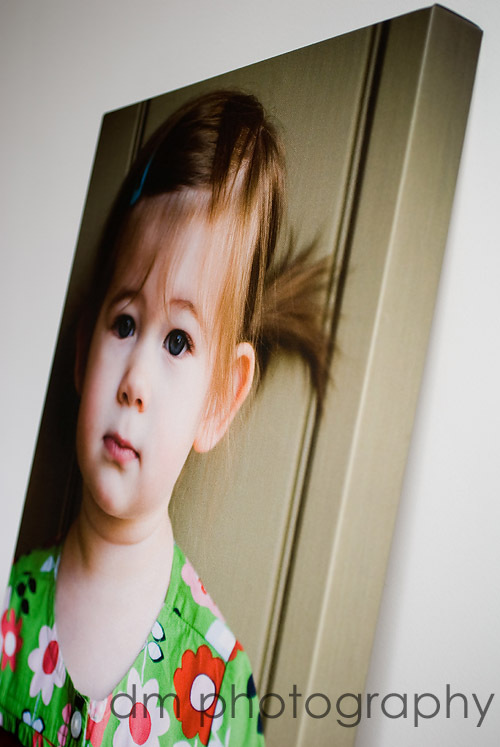 Its a gallery wrap, which means theres a 1.5 inch deep edge, where the photo is printed on the side also. Super up close to show the texture of the canvas. 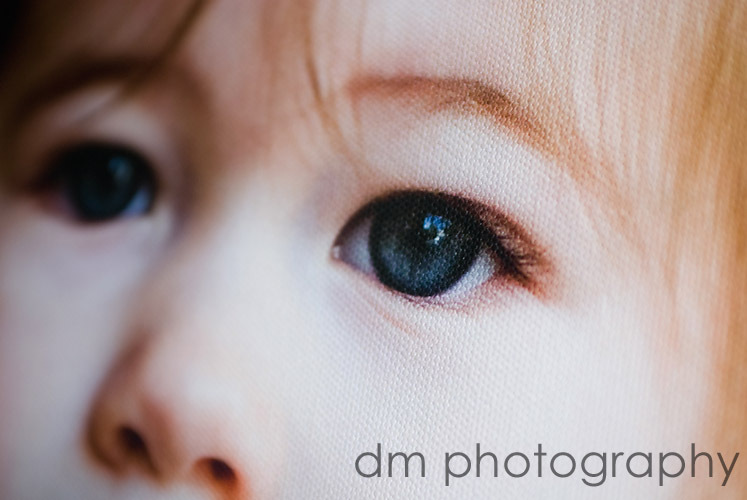 This is also another one off my 101 list...order sample canvas. Love the pics of Grace.